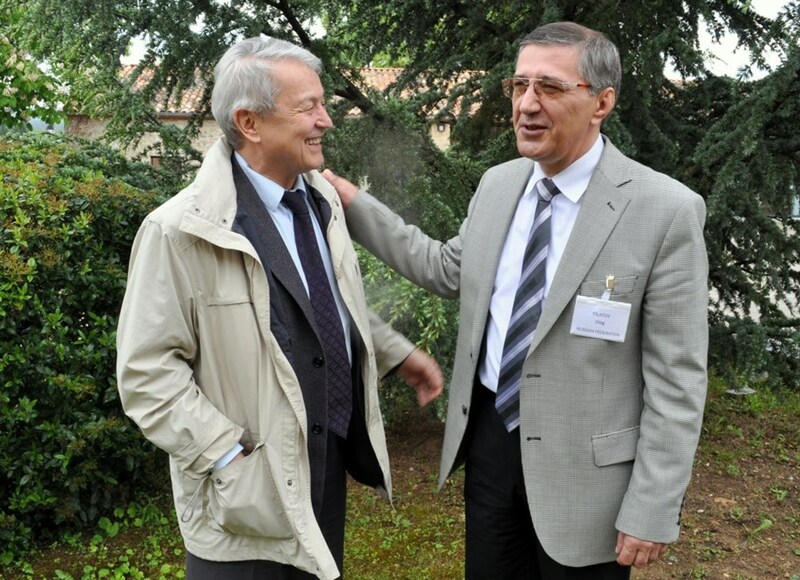 Englen Azizov, the director of the Institute of Tokamak Physics at Triniti (left), here with colleague Oleg Filatov, director of the Efremov Institute in Saint Petersburg, says Triniti has the experience and the tools to host Ignitor. 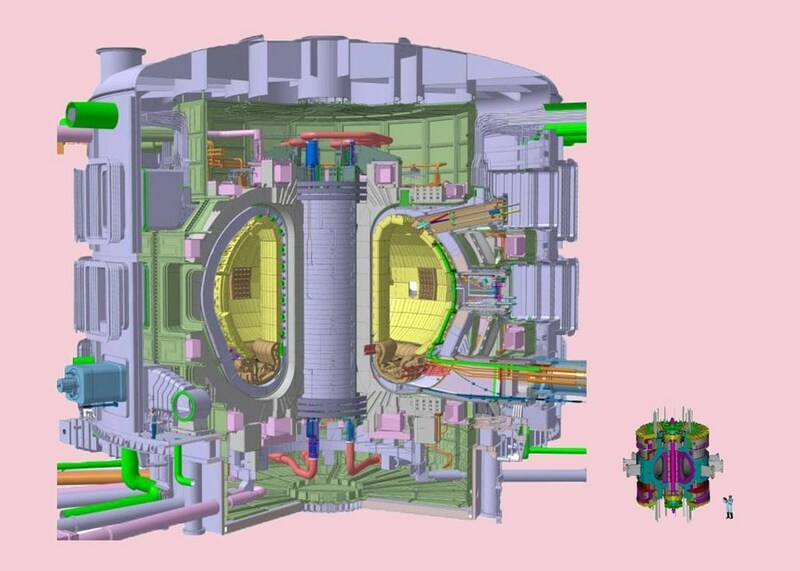 A tokamak project from the 1970s was revived two weeks ago as Italy and Russia signed a "Memorandum of Understanding" to cooperate in the construction of Ignitor. The Italian National Agency for New Technologies, Energy and the Environment (ENEA) will collaborate with the Kurchatov Institute in Moscow to finalize plans for the machine, which will be built at the Triniti site at Troitsk near Moscow. A compact high-field tokamak—its radius is only 1.3 metres compared to ITER's 6.2 metres—Ignitor is the brainchild of MIT physicist Bruno Coppi. The project is part of the line of research on high magnetic field tokamaks that began with the Alcator series of fusion devices at MIT and with the Frascati Torus programs in Italy. For more than 30 years however, Ignitor remained a controversial "paper project." Ignitor aims at achieving plasma ignition, a state in which the energy produced by the fusion reactions is sufficient to keep the plasma "burning" without external heating. The high magnetic field in the device (up to 13 Tesla on the plasma axis, more than twice that of ITER) would be achieved by Magnesium Diboride (MgB2) superconducting magnets, a first in fusion research. Proponents of the project claim that the resulting high current density in the plasma will be sufficient to heat the deuterium-tritium plasma to the required temperature. A compact high-field tokamak—its radius is only 1.3 metres compared to ITER's 6.2 metres—Ignitor aims at achieving plasma ignition, a state in which the energy produced by the fusion reactions is sufficient to keep the plasma ''burning'' without external heating. Will it work? The project has generated much scepticism over the past 30 years. For many scientists in the fusion community Ignitor will be at best "an interesting insight into a burning plasma." Many others question the feasibility of the whole project. The interesting question however is: "Why now?" The Ignitor project, which was last assessed, along with the redefined ITER design (ITER-FEAT) at the Snowmass (Colorado) Fusion Summer Study in 2002, has lain dormant for the past decade. Why is it suddenly coming back to life? Englen Azizov, the director of the Institute of Tokamak Physics at Triniti, where construction of Ignitor is planned, says that for the first time in thirty years conditions are favourable for the project. "Triniti is ready to host Ignitor. We have experience and we now have the tools: a very advanced and powerful power supply system that can deliver up to 1 GW for 100 seconds; a tritium plant that we designed for the T-14 high-field tokamak built in the 1990s; and a recently completed experimental hall with a very strong bioshield ..."
Ignitor's core would be built in Italy and the machine assembled at Triniti. The project could open to other countries. How does Ignitor relate to ITER? "It is another option that is worth pursuing," says Azizov, a Member of the ITER Science and Technology Advisory Committe (STAC). Despite a recent headline in NatureNews the Italian-Russian venture does not aim "to rival ITER." Bruno Coppi was quoted in MIT News saying "there's no competition, we are complementary."